Thomas Jefferson wrote his friend Charles Thompson on Christmas Day in 1808, “An only daughter and numerous family of grandchildren, will furnish me great resources of happiness.” As it is for many people today, the holidays were for Jefferson a time for family and friends. Jefferson loved the festive scene his grandchildren created on Christmas morning; he said of eight-year-old grandson Frances Wayles Eppes, “He is at this moment running about with his cousins bawling out ‘a merry christmas’ ‘a christmas gift’ Etc.” The Shop at Monticello celebrates the holidays with unique toys, games, and keepsakes for children of all ages. Rag dolls and cloth dolls, often made by mothers for their children, were one of few toys a child might have owned during the 18th and 19th centuries. Though they were not fancy, these dolls were well-loved as they were often a child’s first and oldest toy. Though we have no records of dolls that “lived” at Monticello, Jefferson records sending a doll to his friend John Langdon’s daughter. 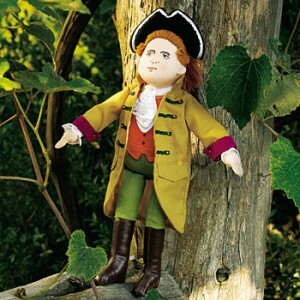 One can imagine Jefferson’s twelve grandchildren running about Grandfather’s house, taking their dolls on exciting adventures through the gardens and grounds. The Shop features two adorable dolls: The Thomas Jefferson Doll and the Martha Jefferson Doll. 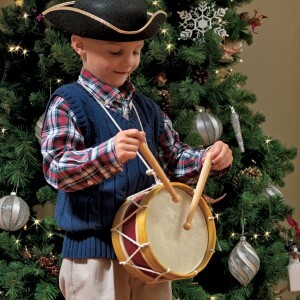 The child-size black tricorn hat and colonial drum promote hours of imaginary fun. The perfect gift for the young Jefferson lover. If you’ve ever visited Monticello on Thomas Jefferson’s birthday, you might have been lucky enough to witness the United States Army’s Old Guard Fife and Drum Corps marching on the West Lawn and playing music that Mr. Jefferson would have heard during his time. Keep the tradition alive with the classic wooden drum and accompanying hat! Drum and hat sold separately. The perfect gift for a curious problem-solver or budding architect! A self-taught architect, Jefferson once proclaimed, “architecture is my delight.” He sketched his plans for Monticello and oversaw the building process. The result is considered an architectural masterpiece by any standard. 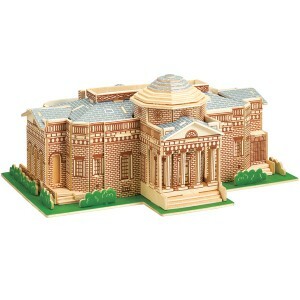 Explore the distinctive geometry of Monticello’s architecture as you build your own little replica from slotted wood pieces. Once put together, show off your skills by displaying the 3d puzzle on a shelf, or take everything apart and start from scratch again. 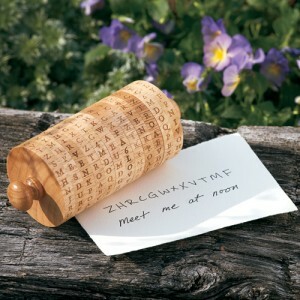 While serving as President George Washington’s secretary of state from 1790-1793, Thomas Jefferson devised an ingenious and secure method to encode and decode messages: the wheel cypher. Codes became an essential part of his correspondence when he was America’s minister to France from 1784-1789 since European postmasters opened and read all letters passing through their command. Jefferson’s wheel cypher consisted of twenty-six cylindrical wooden pieces, each threaded onto an iron spindle. The letters of the alphabet were inscribed on the edge of each wheel in a random order. By turning these wheels, words could be scrambled and unscrambled. A wonderful gift for the little spy or detective in the family. Early dollhouses were usually handmade and unique, each usually displaying individual rooms furnished with miniature accessories. We are proud to present this sumptuous creation for enthusiasts of architecture, history and miniatures. 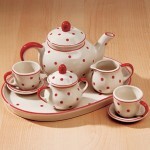 Beautifully handcrafted of solid wood and carefully hand-painted, it’s designed to hold standard 1/2”-scale furnishings. Windows are perfectly proportioned, cornices and roof balustrades are faithful to the originals and the Parlor doors swing open to the East Front portico. The first floor contains five rooms, including the parquet-floored Parlor. The second floor features four low-ceilinged bedrooms and the splendid Dome Room. Visit monticelloshop.org for more Jefferson-inspired gift ideas! From bowls to butterfly houses and from bird houses to letter openers, Artisan Kirk McCauley makes an assortment of handcrafted products out of wood from Monticello. McCauley highlights the inherent qualities of the wood in each item he makes and frequently experiments with a variety of different forms. His experience working with wood from the Monticello Tulip Poplar trees, long thought to be “originals” from Jefferson’s time that were recently taken down due to their increasing structural instability, has been a remarkably positive one. According to McCauley if the “history alone” isn’t enough to impact you, the beautiful colors of the tulip poplars should do the trick. McCauley uses a number of different processes, mixtures of carving and turning, when working with the Monticello Tulip Poplar. “One of the most interesting pieces I’ve worked on is the chess set,” McCauley notes. The sets are painstaking crafted with hand tools making each piece one of a kind. “The process takes a really long time, but the end results make it worth it” he adds. His craftsmanship and experimentation have landed one of the sets on display in the World Chess Hall of Fame. For more information on the history of the Monticello Tulip Poplars and gifts crafted from Monticello wood, visit the Shop’s Handcrafted Gifts section. For more history and quotations about Jefferson and chess check out the Thomas Jefferson Encyclopedia.